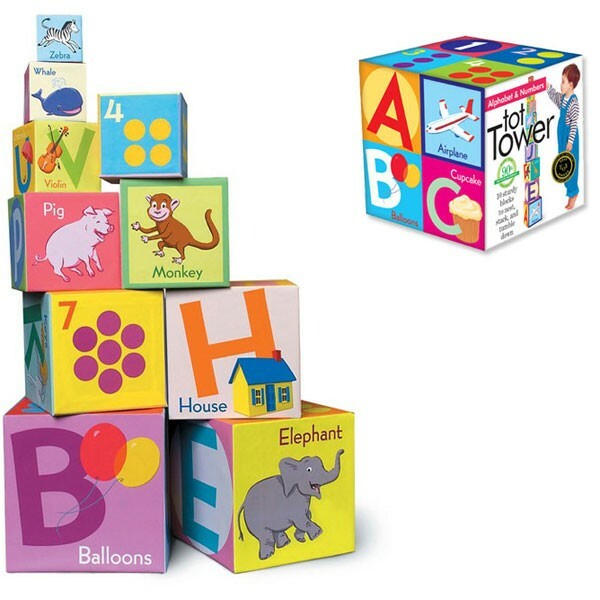 This eeBoo's set of 10 stacking blocks features beautiful illustrations of kids familiar animals and objects, numbers, and bold letters! 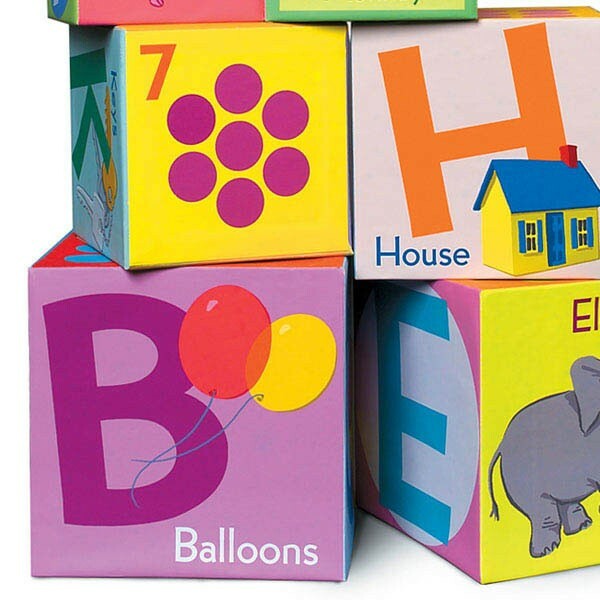 This award winning learning blocks set by eeBoo is different from all other building blocks, because the cubes have first words, letters of the alphabet, and numbers printed on the sides. 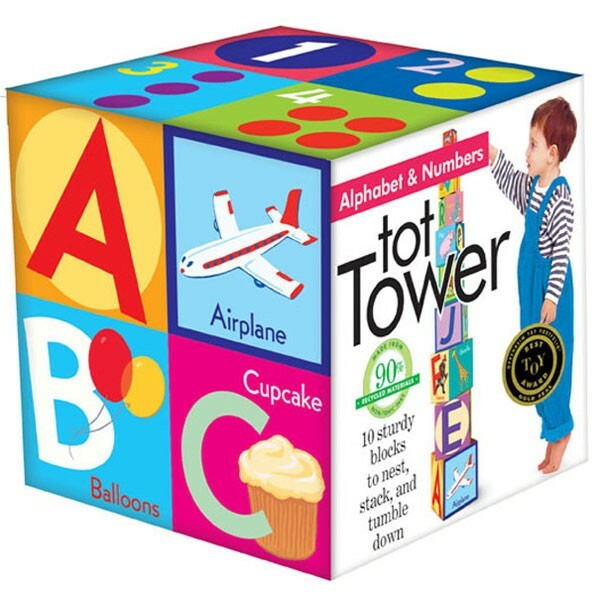 Alphabet & Numbers Tot Towers 10 Stacking Blocks Set features colorful nesting blocks that are beautifully illustrated for kids. Look at the pictures of familiar objects and popular animals, ask questions, read first words, tell stories, build a block tower or nest the blocks into each other - play possibilities are unlimited with this unique set of toddler blocks. 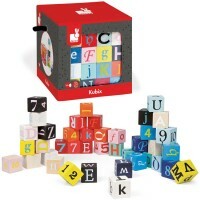 Mix and match these picture cubes together and create endless stories! 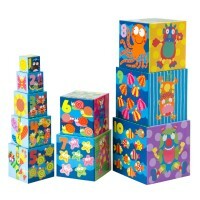 Alphabet & Numbers Tot Towers 10 Stacking Blocks Set is a great toddler or preschool activity set. 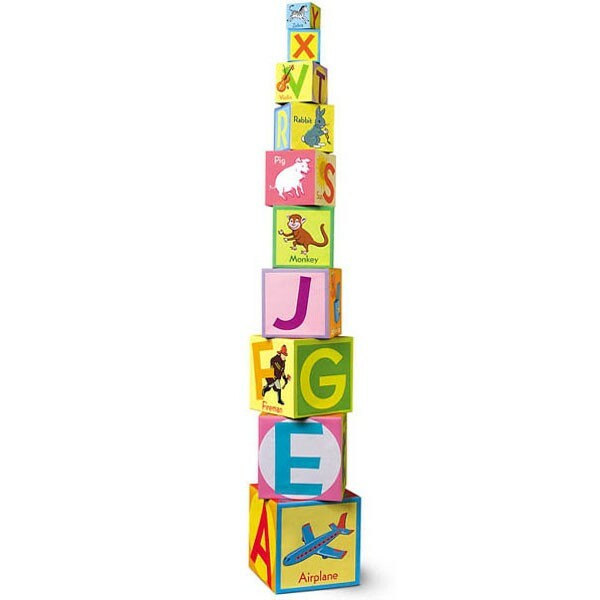 This stacking set from Educational Toys Planet will help your little one to boost his/her motor skills, expand imagination, add more words to the vocabulary, improve eye-hand coordination, teach early reading and word recognition in the most entertaining form of education - fun game. 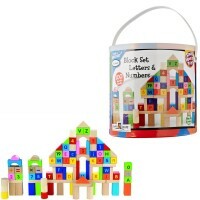 Dimensions of package 6" x 6" x 6"
Write your own review of Alphabet & Numbers Tot Towers 10 Stacking Blocks Set. 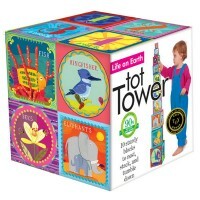 Rating: 5 Great stacking toy- lots of laughter by By A customer Bought as a gift. 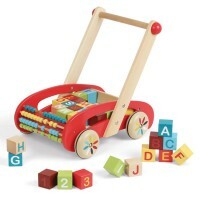 My kid had one and played with it for a long time. It’s always fun knocking stuff down! Rating: 5 Love these!!! 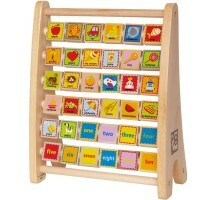 by By A customer These things are simple cardboard, but all my grand kids just love them!!! 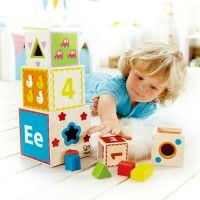 Rating: 5 Love these blocks by By A customer We love eeboo products, and this one didn't disappoint. 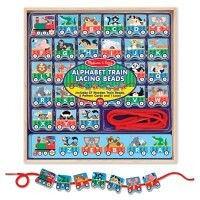 The artwork is beautiful, while it is printed with a safe, non-toxic ink. 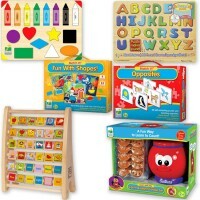 Eeboo has such great products, you can't go wrong. 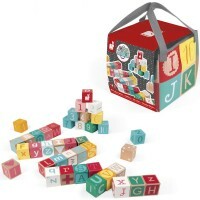 Rating: 1 Fell short by By A customer This didn't last more than a week in my house it was torn apart by my kiddo. Rating: 3 Three Stars by By A customer They are ok.